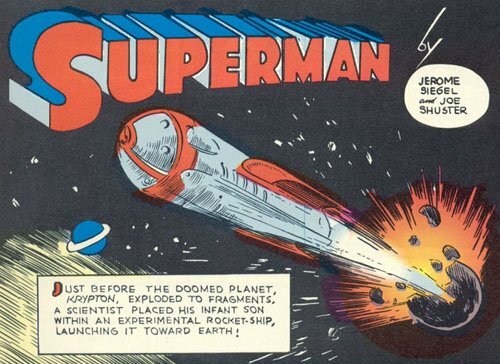 Are the days of the superhero/supervillain origin story gone? I hope not! Next year the movie-going audience are going to be introduced to many new comic book characters that they may not know much about. And the conversation has often turned to origin stories and whether they are necessary or not. A while ago we heard rumblings that Marvel were no long going to be doing origin stories, starting with 2016’s Doctor Strange, and more recently we’ve heard that Suicide Squad will be all origin stories, which apparently has made a producer’s wife not happy with the script (yupp). Many people follow a similar sentiment, and don’t like origin stories, but personally I don’t think we should give up on superhero origin stories or supervillain origin stories on film just yet. Now with characters like Batman and Spider-Man, where we’ve seen the same origin story retold time and time again, a whole film devoted to their origin stories isn’t necessary at all. However with upcoming characters like Captain Marvel, Shazam, Wonder Woman etc. I would love to see a film devoted to their origin stories. Origin are just such great stories of people being thrusted into unusual worlds and experiences, and seeing how they evolve from that, to me personally is really interesting. 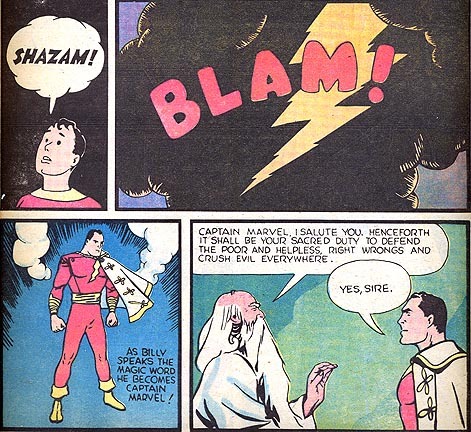 I want to see young Billy Batson turn from a normal kind to a god. I want to see Diana go from an Amazon who doesn’t quite feel like she belongs, to one of Earth’s greatest heroes. Origin stories can be magical if done right, and really helps the audience get involved with the character when they’ve seen in-depth where they came from. Which is especially important if we’re expected to care about these characters across multiple films. But now it appears we’re moving away from traditional superhero (and supervillain) origin stories in the upcoming Marvel and DC films. Marvel don’t want to do origin stories anymore, so the structure of the phase one and phase two MCU films we saw will be changed a lot in the new movies. DC on the other hand, we don’t know how they’re tackling their solo movies yet and whether they will be origin stories or not, but by the way they’re introducing the characters, it’s looking more likely that we’ll see the characters already fully established in their world. Wonder Woman has apparently been Wonder Woman for hundreds of years, Aquaman is coming into Batman v Superman because he’s angry Superman destroyed the oceans, meaning he’s already King of Atlantis, and Cyborg isn’t getting his movie until after he appears in Batman v Superman and the Justice League films, meaning it would be very strange if we got an origin story. That brings us to Suicide Squad, which apparently has a lot of focus on origin stories. We already saw this in the teaser trailer with Harley Quinn, Deadshot and Enchantress’ origin stories being shown in the trailer. With so many characters, I doubt we’ll see an in-depth look into all their origin stories, but I think it’s great that we get to see a few explored. Supervillain origin stories are exciting to explore, especially with a character like Harley Quinn. However you don’t want to drag the pacing of the film down by spending too much time on the origin stories and not on the current day story. It won’t be interesting if we spend so much time leading up to how they became who they are now that we barely see their full supervillain nature in action. Personally some of my favourite superhero movies have been origin stories like Iron Man and Batman Begins. Anyways I’ll guess we’ll have to wait and see how the MCU and DCEU handle introducing new characters, hopefully we get to see some great origin stories in the near future. Justice League #44 Review: Did [spoiler] really just die? It appears we have a winner! You are behind the news…Feige just said in an interview that Dr. Strange will address his origin and that they would be crazy to ignore such an unusual origin story. They just intend to shake it up a little bit how they tell it. Not sure if I like the concept of an origin story for the suicide squad. It makes sense for Deathstroke to explore his motivations, but (as I already said concerning Gotham) I like most of the Batman villains the best the less I know about them. I think origin stories are as an integral part of comic book movies as they are the comics themselves. Some of my fave Superhero films have also been origin stories, Superman the movie, Batman Begins, and Iron Man are all favorites. 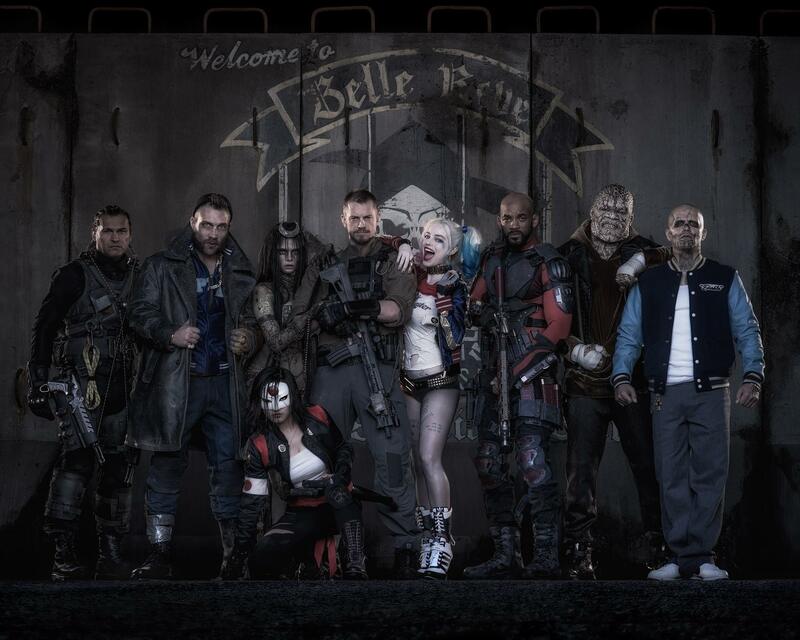 Will be interesting to see how Suicide Squad turns out. I’m sure origins will still be a part of the films, maybe more as a flashback story device maybe, but I certainly hope they don’t do away with them altogether. Agreed Paul! I can understand the Batman/Spider-Man origins not being covered fully in their forthcoming films because they’re in recent memories but we still need origin stories, especially for those not so well known characters – e.g. Doctor Strange! Indeed, although I’m sure the origins of Batman and Spiderman will be referred to I’m the new films, they will probably just be flashbacks – or perhaps in the case of Spiderman unfold in the credits maybe? The origin is a main part of any superhero story and film, especially for characters like Dr Strange. Yes, I’m sure origins are here to stay in one form or another. It makes the story much more compelling with an origin included, and build up the character for the audience. I’m sure Suicide Squad will feature flashbacks, think that would work really well. Totall agree (and spot on observations from yourself and Paul, above), when being introduced to a new character we need the origin story – surely we all want to know who the characters are, where they come from and how they come to be, stories are so much more enjpyable and resonant if we care about the characters! I hear you, I love origin stories, because for the most part, not every hero or villains has the same story. They are all strange, wacky, dramatic or larger-than-life kind of scenarios and to see them play out is always fun and interesting. I think the problem is that modern audiences have seen a few too many and want them gone (especially when it comes to Spider-Man). There are some characters that don’t require an origin story if they’re super popular already, but I don’t think the answer to this apparent problem is to get rid of it altogether. I beleive as long as filmmakers find ways to change up the formula and keep things interesting then origins will have a place in future superhero films, well at least I hope so. Agreed, audiences don’t want to see the same origin story over and over again, but many of the newer characters being introduced in the movies have really weird and different origins which would be cool to explore. Origin movies can be great, especially for lesser known characters. I think the problem is that for some characters, their origin has been told too many times. Superman, Batman and Spider-Man come to mind first. Spider-Man is probably the most blatant case because he had 2 origin movies within 10 years. That and with Batman, it would be hard to top Batman Begins for his origin story in movie form. It’s the only case I can think of where the superhero doesn’t show up in any kind of costume for more than half the movie, yet it still works. Usually that method works against an origin movie. My general thoughts are, if a hero’s origin is very well known, do a montage like in The Incredible Hulk. If they’re new to the movie world, at least do an extended flashback of their origin, like the Daredevil Netflix series, if you don’t want to do a full-on Origin movie. Both are creative ways to show these origin stories while keeping the pace going.